Study in UK is one of the most preferred study destinations among international students. The UK has got one of the best education systems in the world. The universities in UK regularly rank among top institutions in the world and colleges. There are lots of options for international students to study in UK. International students aspiring to get student visa to study in UK can choose between different types of higher education institutes. There are range of Universities and colleges in UK which international students may choose depending on their study goals. There is range of options for international students choosing to study in UK as a TIER 4 Student. You need to choose right and relevant course for your study visa UK application to be successful. There is a wide range of courses available and international students may choose according to their career pathways. International Students wanting to pursue Master’s course of 13 months or less at select universities in the UK are eligible for streamlined processing. You may include your spouse and any dependent children under 18 in your student visa application if you are sponsored by a Higher education Institute on a course at level 7or above on OFQUAL REGISTER. The duration of the course must be at least 9 months. You need to provide evidence that you have funds to support them while on Study in UK. The processing time for TIER 4 student visa applications is about 15 to 20 working days. We are Education UK certified Counsellor and ICEF Trained Agent Counsellor and member of NASFA. We are also an ICEF Accredited Agency. At West Highlander we guide students taking into consideration and career goals. We counsel students about number of options best suited to their budget. We help the students with the admission and visa process which is very tricky. One needs to present his admission and visa application carefully to get offer of a place- CAS letter and then visa for study in UK. 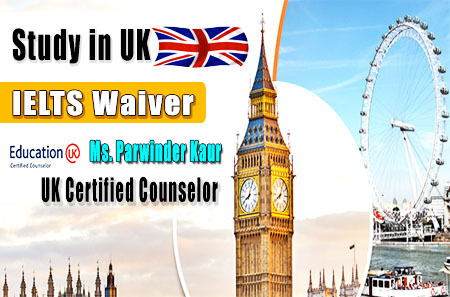 West Highlander is the best study visa consultant for UK in Chandigarh. TIER 4 VISA: STUDENTS This Visa category introduced in 2009, the Tier 4 visa categories provide to students who are paying for tuition in the UK. It highlights the significance laid by the universities and colleges on income from overseas. The prime objective of Tier-4 immigration service is to offer a straightforward, user-friendly and transparent solution to students willing to study in the UK. CATEGORIES OF TIER 4 There are two student categories in Tier 4 of the points-based system: General student This category is proposed for students coming to the UK for post-16 education. Child student This category is intended for children between 4 and 17 years of age who are coming to the UK for their education. However, children between 4 and 15 years of age may only be educated at independent fee paying schools. UK TIER 4 POINTS BASED SYSTEM It is mandatory for students to fulfill all the requirements of the Immigration Rules, other than having a total of 40 points. CAS statement (Confirmation Acceptance for Studies) issued from universities/institutions (registered in UK Border Agency Sponsor Register) will provide the student 30 points. Satisfaction of fund requirement as mentioned by the UK Border Agency will make him/her eligible to get an additional 10 points and therefore obtain Visa. Streamlined Pilot Program Tier 4 Pilot Scheme is a streamlined visa process for International Students wanting to pursue Master’s course of 13 months or less in the UK. There are many advantages for International students who qualify to apply under this Tier 4 Student visa Program. Intakes The main intake offered by all Universities is September / October & few universities offer Jan / Feb intake also. For the Admission in UK Following is the list of documents required. At least, 2 Academic reference letters from professors who have taught most recently. Once reference in case of UG application on the UCAS application form itself. Documents required for individual universities and individual courses in the UK may vary. West Highlander provides all the admission & services to its students free of cost. We liaise with the College & Universities on the receipt of applications and follow up on your admission decisions. Our information resource is apt to assist you making the correct choice. Each program may have specific entry requirements. Our trained counselor asses your application as per your interest & Academic pathway and helps you to find and enroll in a suitable course. Primary & Secondary School: Prior to higher education, students attend primary and secondary school for a combined total of 12 years. These years are referred to as the first through twelfth grades. UK qualification is worldwide recognition. UK is the vast wealth of the resources, there very supporting industries, great training and research. International students on successful completion of their study in UK are highly sought after by employers worldwide. UK universities attract world renowned faculty and are at the forefront of research and technological development. WORK RIGHTS DURING STUDIES: International students studying in the UK are eligible to work on campus up to 20 hours a week while school is in session, and can work full time during vacations / scheduled breaks. The main benefit of studying in the UK is the flexibility of the undergraduate curriculum offered by universities. Over 4,000 degree-granting institutions of higher learning in the UK. Our experience helped international students in selecting the right course and the right University. Information about how to apply to study, and prepare for living in UK. Firm foundation of counseling staff of study in UK which helps students aspiring to study in UK understands the education system & its benefits. Information about tuition fees and cost of living in UK.